The age of the 2.4 family has gone. Families are growing; in fact, the UK is home to some of the largest families in Europe and now has a greater number of families with three or more offspring than at any time since the 1970s. The arrival of a third child causes a shake- up in many areas of parents’ lives. One of the first – and biggest – challenges will be how to transport your entire brood in safety and comfort. You’re likely to need a car that will accommodate three child car seats, and for many families that means replacing their car. 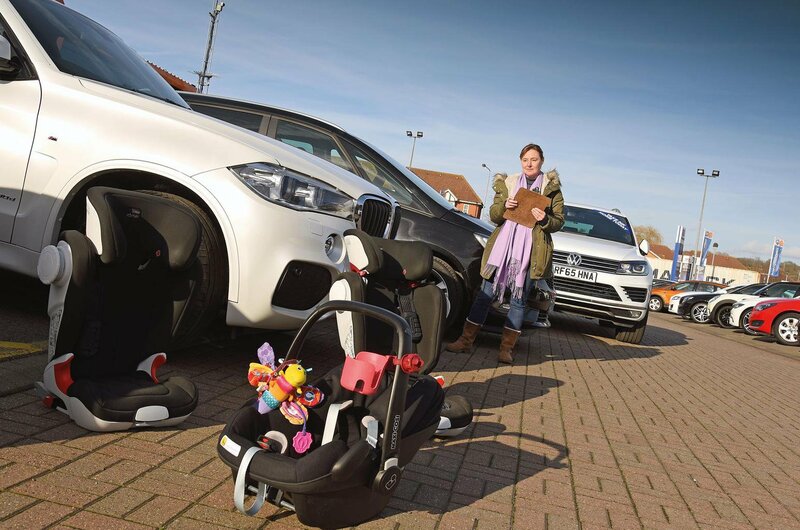 Picking a car with seven seats or three Isofix mountings might seem like a good solution, but it doesn’t guarantee the second row will be wide enough to accommodate three child seats. And that extra row in a seven-seater might not be a safe or practical place to position a child. The debate about the safety of children in third-row seats is ongoing. Although it puts them closest to the rear of the car, making them more vulnerable in a rear-end shunt, these account for only 6% of crashes and lead to the least harmful injuries. So, there is an argument in favour of putting children in the rearmost seats, because that places them as far away as possible from the front of the car, leaving them best protected in the event of a front or partial-front crash. According to a number of research studies, the safest position in the car is generally the middle seat in the row behind the driver. However, this might not always be the case. For example, if the outer seats have Isofix mountings, one of these might be safer. Car makers are required by law to state which seats can be used to accommodate child seats in each model, so check your car’s handbook to find out. 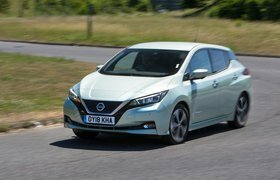 In order to help you find a suitable family vehicle in which you really can fit three child seats, we started by examining the Euro NCAP crash test data for the latest models. The car safety organisation crash tests all new cars and rates them for safety. It also tests the compatibility of a range of child eats, looking at those secured with the car’s seatbelt, those that utilise Isofix brackets and ones that conform to the latest i-Size (R129) safety regulations. Euro NCAP looks at how well each child seat can be fitted into the car and gives a recommendation on which ones should be used in each position. Although this data is useful at helping to create a shortlist of potentially suitable cars, it doesn’t account for the many variances in the size and shape of child seats and the differing contours of car seat bases, all of which affect how well child seats fit into cars. 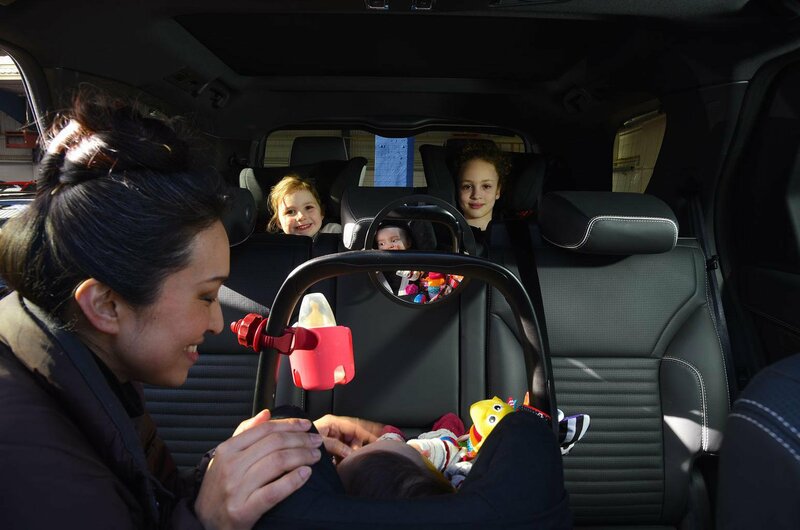 So, we’ve got together eight SUVs and six MPVs with at least seven seats, a hatchback and an estate with three Isofix points across their rear seats, to see how many can accommodate three child seats. Our young passengers were aged 11 months, four and seven. 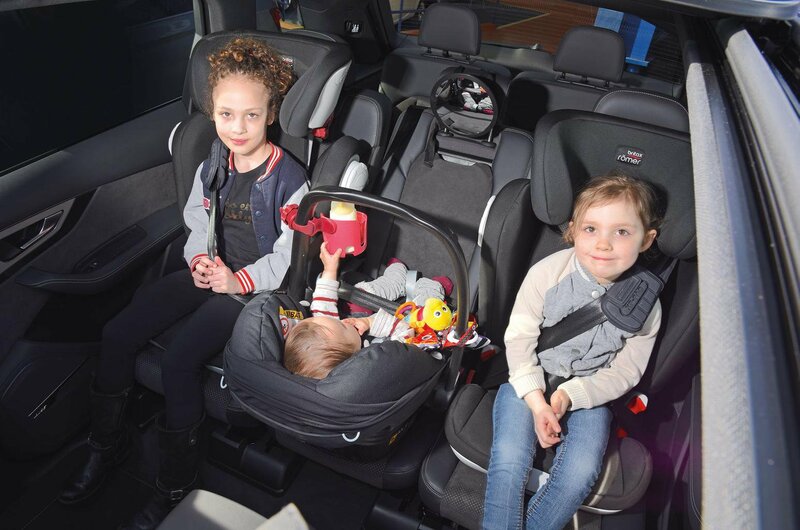 The youngest was in a Maxi-Cosi Pebble infant seat secured by a seatbelt and the older two were in Britax Romer Kidfix II seats with Isofix points. It’s important to state that our test is only one combination of cars, seats and children, and that it might be possible to fit a larger number of other seats into other models. Just because a car has more than five seats doesn’t mean you’ll be able to safely fit more than two child car seats in it. Our test shows that size doesn’t always equal practicality; even some of the largest SUVs can accommodate only two child seats. With some, that’s because they don’t have enough leg room when you introduce a third row of passengers. With others, it’s because their rearmost seats aren’t suitable for fitting all types of child seats for various reasons. MPVs may not be the most popular cars with buyers at the moment, but they remain the most practical for families; far more of them will carry three or more children with ease. Our research only shows one possible scenario, though, and highlights the need to check that your child seats will fit properly into a car before you buy it.